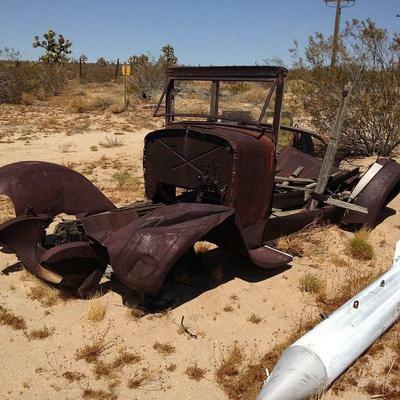 Well it's not mine but a buddy of mine took this photo somewhere out by Edwards AFB, CA. Would love to hear the stories this old car could tell about seeing the jet age come about and other historical events. My best guest is a 1925 Model T Runabout pick up? Anyway I hope all you Model T enthusiast enjoy this photo.